I love romance novels. Any genre. Any time period. If the plot has two people falling in love I will give it a shot. 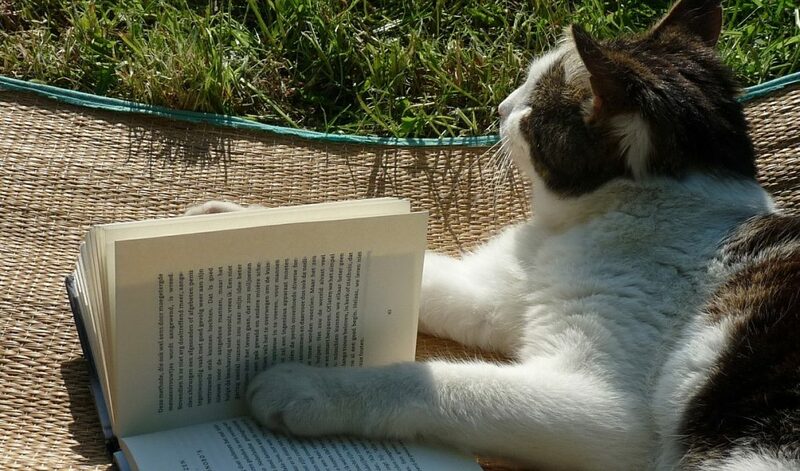 When I find a book or author I love I want to share it with everyone, so I am starting a real-life Crazy Cat Book Club. I say real-life because it is based on one in my first series. While writing my first series – Somerset – I designed my perfect small town hidden in the Georgia mountains. It has everything I would wish for in a tiny town, and a few things I don’t but just have to be there. My favorite part is the book store – Black Cat Books. It has everything romances, mysteries, how-tos, spell books, even a token book on housekeeping. The shelves are all a deep oak, the club chairs a soft chocolate canvas, and the register is an antique that still dings. A few years ago (in the books) they bought a storefront next door and opened a little coffee shop attached that makes the whole place smell like warm cookies. The book store hosts a couple of book clubs – the best one is the Crazy Cat Book Club. They meet every Monday to talk about all things romance. Every month they pick a different author to focus on. The girls all read different books so they can cover more ground. I realized that I can do the same thing here on the blog, with a twist. I have always wanted to chat with my favorite authors. I want to know how they get their story ideas, what they like to read, and who is their book boyfriend. If I find a great book giveaway, a new book that I think you need to know about, or some really cute fangirl gear I will post it here too! **If you have an author you want me to try to interview email me and let me know. If you are romance author email me and I will interview you!